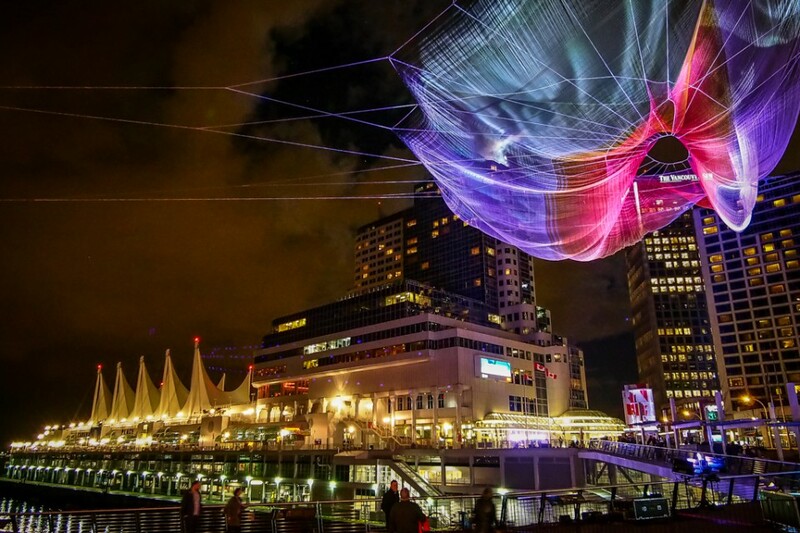 This Monday citezen of Vancouver took part in interactive artwork on one of the largest textile sculptures ever. 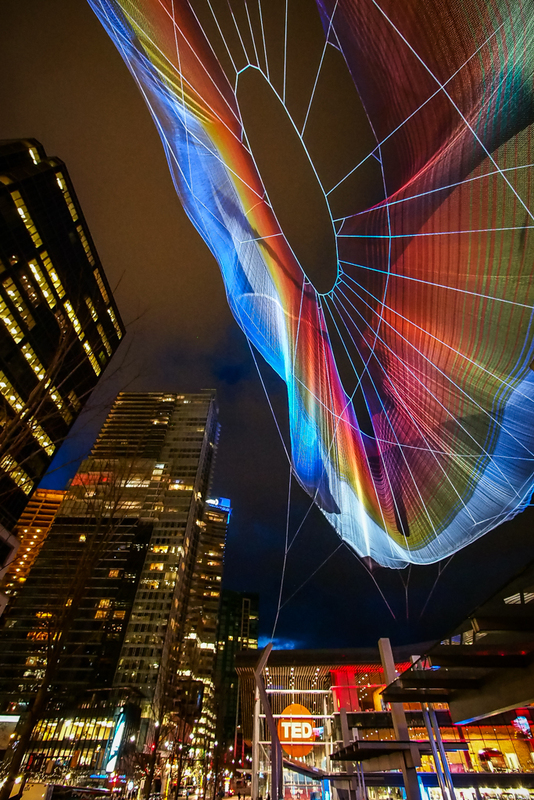 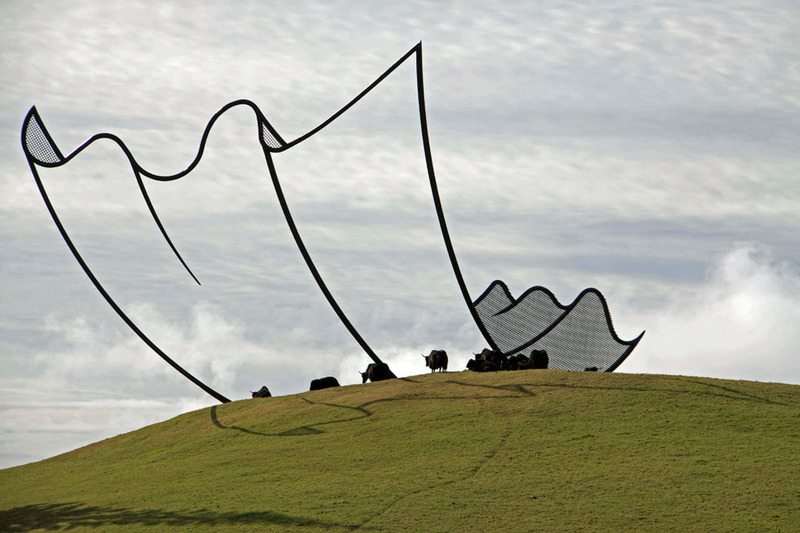 The piece, entitled Unnumbered Sparks, is a collaboration between artist Janet Echelman and Google Creative Director Aaron Koblin, as part ofTED’s 30th annual conference. 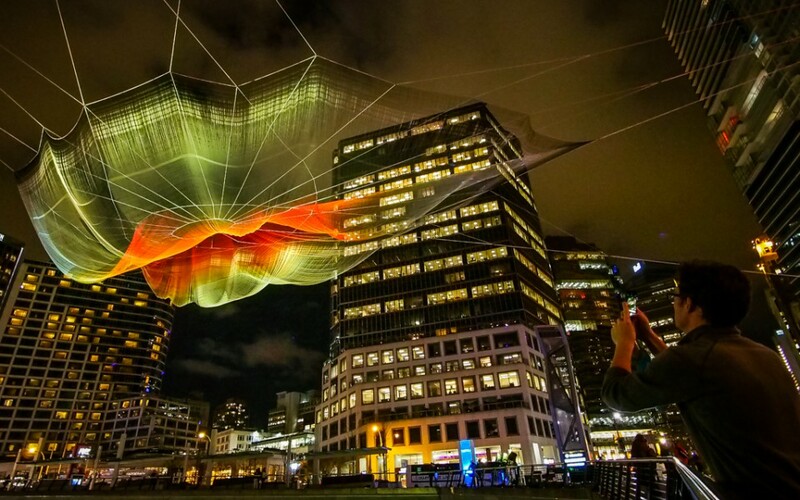 Echelman is known for building sculptures that respond to the forces of nature—wind, water and light—and this project is no exception. 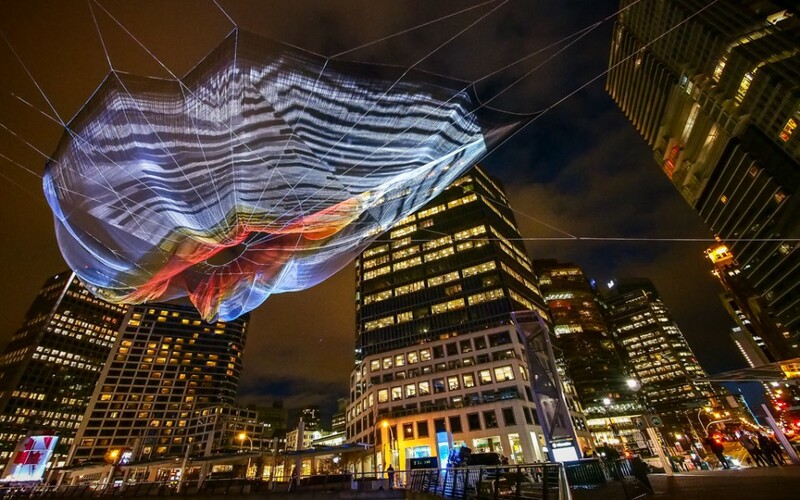 Made from ultralight fibers, the sculpture soars from the roof of a skyscraper over the water and walkways near the Vancouver Convention Center. 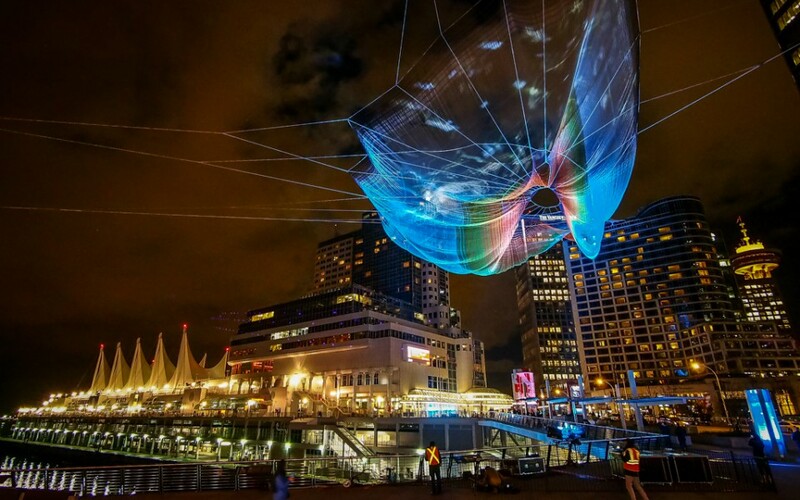 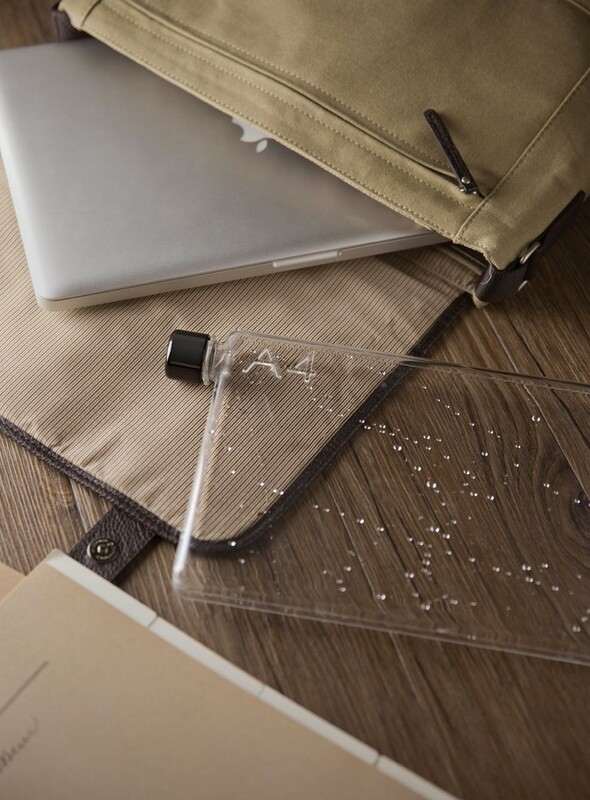 As visitors collaborate via mobile devices, they create colors and ripples that move over its surface.